With Neteller, you get the comfort of having an electronic wallet that will allow you to make deposits online. Neteller is quick and easy. It's accepted at all of the best New Zealand online casinos, including all of those featured on this page, and at our top site for easy Neteller transactions, Jackpot City. Best of all, it allows you to securely deposit funds into your account without a transaction fee. Neteller real money deposits are welcome at just about every New Zealand online casino. One of the most attractive features of this e-wallet is the fact that it may be funded in so many different ways. This allows just about anyone to utilize this respected service provider. 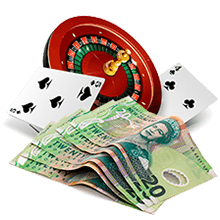 We provide you with some useful information regarding deposits and funding, as well as show you the top rated New Zealand Neteller online casinos that accept it. With Neteller, you get the comfort of having an electronic wallet that will allow you to make deposits online. Rather than using a credit card, Neteller deposits payments from an online account, which means that in situations where your credit card may not work, Neteller will. With one of the strongest payment acceptance rates in the business, Neteller can assure you that your money will go where it needs to. Credit Card: using a credit card will give you immediate access to your funds. If you want to play now, use a credit card. Online Check: if you decide to fund by transferring money from your bank account to your Neteller account, you’ll need to wait three to five business days for the process to be completed. InstaCash: to use this service, you’ll need to verify your bank account, which may often be achieved immediately. Once instaCash is acknowledged as being available, you can use it. Original limits are set at $750.00 but may be increased. BankWire: with this service, you can easily add large amounts of cash to your Neteller account. It takes from one to two business days for the transfer to be complete. Internet banking: this option is available in limited regions, including the UK, Netherlands, Denmark, Finland, France, Germany, Norway, Spain, Sweden and Turkey. It takes two to four business days to complete the transfer. ATM: this quick transfer may be used if your ATM card is part of the Pulse/Star network. Transfer is immediate. Neteller is an online payment solution that is very useful for people who are interested in online gambling as well as for a lot of other payment situations. It is very simple to use, and only requires an account to be made before you can start using it. You can deposit money into a Neteller account using most types of major credit card. Additionally, you can use your Neteller account to immediately transfer funds from another website to Neteller. What makes Neteller useful, especially for people interested in online gambling, is that it can be used in a situation where a credit card might be declined, for any number of reasons including a bad credit score or international banking. With one of the highest payment acceptance rates, Neteller can give you a strong assurance that your payments will go where they need to go. Joining Neteller is free, and you can use your Neteller account to withdraw cash from ATMs or just use a prepaid card in order to shop online or in real life, or to deposit to an online casino. Finally, Neteller has very quick transaction times, which are often ideal for online gambling situations. Claim Extra Cash When You Deposit! We have rated our online New Zealand casinos accepting Neteller using a variety of criteria. We have looked at welcome bonuses, good promotions, software features, and game variety to bring you the best online casinos accepting Neteller. With Neteller deposits you’ll enjoy safe and secure service and be offered many different ways to fund your Neteller betting account. This is a widely respected service that New Zealand online casinos gladly welcome. Versatile and simple to employ, start making online casino Neteller deposits immediately. Neteller is an extremely popular e-payment company owned by Paysafe Group. It is used by customers in over 200 countries around the world, and services include money transfers, payments and withdrawals, Net+ card transactions and direct bank transfers. Neteller is especially popular with online gambling customers, and in fact we online gamblers make up a very large percentage of their customer base. This is great news because it means Neteller offers services that cater directly to online casinos and their players. Neteller is a well trusted company that has been around since the 1990's, operated out of the Isle of Man. If you are looking for an easy, safe and reliable payment method, they are an excellent choice. Neteller is an e-wallet service. This means that on their site, you have an electronic or digital wallet that holds your money in order to keep it separate from your bank account. This is just like how you would use a regular wallet, or even a second bank account - it helps to keep track of and budget your money when you can separate it into different locations. E-wallets are also great for online gambling because they keep your bank account information completely separate from your e-wallet accounts, so when you make payments your financial data stays secure. Payments happen instantaneously as well, which cannot be said for direct bank transfers or e-checks. Do Neteller allow online gambling transactions? Yes, Neteller allows and in fact they even encourage casino online gambling transactions. As we mentioned in the question above, online gamblers are a huge part of Neteller's customer base. Neteller has been processing online gambling payments since the year 2000, and at that time they processed payments for 80% of the online casinos in the world and make over 90% of their revenue from these charges. The majority of these were United States based transactions, but they also have a significant number of customers in New Zealand. As you can see, Neteller is a strong supporter of the online gambling community worldwide. How quick are Neteller payments? Neteller payments are super fast and super easy. This is one of the main benefits of this payment method, because other payment methods can take hours or days to go through. Bank betting transfers tend to be the slowest, taking 3-5 days to complete. What about if you want to start playing right away? In this case an e-wallet like Neteller is definitely the right choice. Just make sure that you sign up for an account ahead of time before you start gambling, because Neteller does require you to verify your bank account before you are able to transfer money into your e-wallet. Once this short step is complete, you are ready to go and never have to wait for payments again! How do Neteller compare with other payment methods? Neteller is a very good option for gambling payments when you compare it with other payment methods. After all, they are so popular for a reason! When you compare Neteller with credit or debit cards, keep in mind that Neteller does not share any financial information, but with credit cards you have to input the card number in order to make payments. When compared with bank transfers, Neteller payments are much faster. Cash transfer services are also incredibly slow and have higher fees. Even other e-wallets fall short because they are just not as familiar and comfortable with the gambling industry as Neteller is. 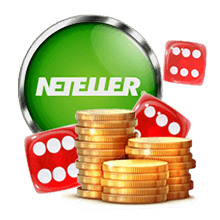 For all these reasons and more Neteller is a great choice for online casino customers. Do I have to pay fees when making a Neteller deposit? Whenever you use an e-wallet site, there are going to be some fees associated with the features they offer. E-wallets allow such convenience and ease however, that most customers find these fees well worth it. Let us go over the fees that you will pay when you use your Neteller account for online gambling. When you deposit money, you can use a whole variety of other third party services to move the money into your Neteller account. These have a percentage based fee ranging from free in some cases to 7% at the most. The average fee is between 1% and 3%. There is also a fee when you withdraw money into either your bank account or another account. These are set amounts per transaction, not a percentage. These range from free to 25 Euros. You can also purchase a Net+ card, which is a Prepaid MasterCard credit card. The Net+ card is free to pay in shops, restaurants or online (including casinos) with a 3.39% exchange rate for foreign currencies and a 1/75% withdrawal fee if you want to take your cash out of the account. There is also a withdrawal limit of $500 every day and 10 purchases per day. You can also only spend $1,500 in a single day. Is it Neteller safe to use? Yes, absolutely. Neteller is one of the safest and most reliable payment methods for online gambling. 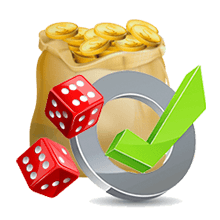 We went into the reasons why a bit above - they are a well-established company with a long history in processing gambling transactions, and they keep your financial data completely separate from your e-wallet account. When you put your finances in the hands of a foreign company, you want to make sure that they have a good reputation. Neteller has been around since 1999 and web based gamblers love them. The rave reviews they get on online casino sites speak for themselves. E-wallets are much safer than credit cards or bank transfers because your card number or bank account number is never vulnerable to hackers, since it is not shared with the casino during the transaction. This keeps your money and your privacy safe and secure.